You learn about their lives outside of football and gain a trust and a unique bond with every player and begin to see their confidence and personality shine more as time goes on. Charles coaches football and athletics, but he’s also a total Muay Thai (Thai boxing) fanatic. 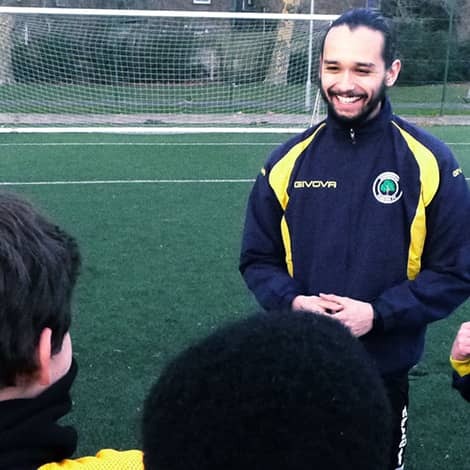 Before joining the TKA he coached the Fitzrovia Youth-in-action U15s and Brentford Academy U5s–U8s. The thing Charles loves most about coaching is building a rapport with the kids and watching each player develop in front of his eyes. By learning about their lives outside football, he gains trust and a unique bond and begins to see their confidence and personality shine.